“Forza Horizon: Behind the Scenes” is an all-new series of videos on the making of one of this year’s biggest racing games, Forza Horizon, which is coming to Xbox 360 starting on 26 October. On the video you can go behind the scenes and hear from the game’s creators on what makes Forza Horizon one of the fastest, most action-packed racing experiencea you’ll play this year. 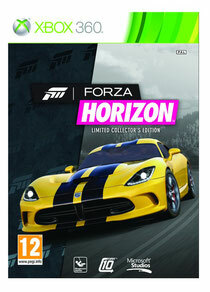 “Forza Horizon” will be available in the UK on 26 October in a Limited Collector’s Edition (£59.99 ERP) and a Standard Edition (£49.99 ERP), both available for pre-order now. The game is rated PEGI 12.